In this program, the student receives extensive knowledge and practice of EMS, CPR, & AED methods and procedures. We also provide refresher and recertification courses for previously certified professionals who wish to renew an expired or expiring New York State certification. 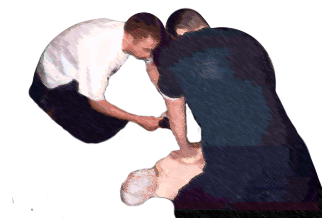 Job placement assistance is provided, as a service to you, upon completion of our EMT Course. For your convenience, EMT certification courses are available Days, Evening, and Weekends! Emergency Medical Technicians provide pre-hospital care and transportation to individuals suffering from various ailments and injuries, during emergency and non- emergency situations, to the nearest medical facility. Upon patient arrival, EMTs report case information and treatment that was administered, to the to the hospital staff. EMTs are usually dispatched to the replica watches scene through 911 operators or police distress calls. Most career EMTs and paramedics work in metropolitan areas. Volunteer EMTs and paramedics are more common in small cities, towns, and rural areas.